whoa...i always waiting 4 this pic ! She's really cute and I like lacus! She looks rather masculine in that pilot suit. Not a good thing. Lacus definitely isn't a mobile suit pilot. It's a good thing she somehow learned how. And good job finding a pink pilot suit! Wow! She looks like a 'he' ! I love how determined she looks, though! XD :) Awesome! 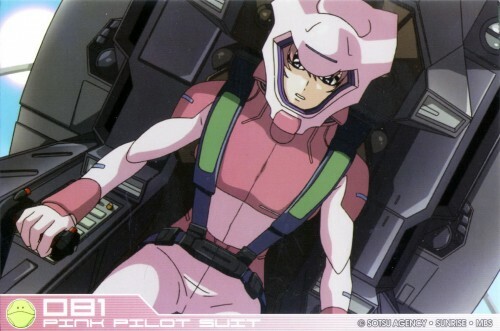 lacus in a pilot suit..
love this.. thx for sharing! Lacus looks great with the pilot suit! she's very pretty!